by Susan Tank aka "GreyStone"
My first Breyer horse was the unforgettable glossy palomino Western Horse and my second was a glossy black pinto Western Horse. Although I played with them both, I also treasured them and took good care of them...and still have them to this day. 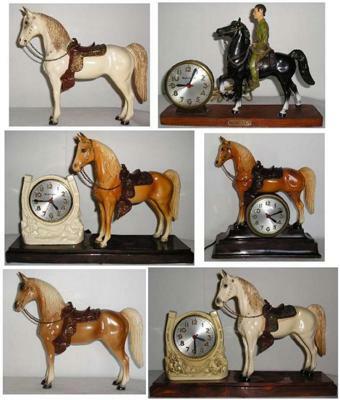 It was the Western Horse that started my collection that, over the years, grew to over 1200 models. After cutting back the herd (and still doing so), I decided to stick with collecting my all-time favorites- the Western Horse, Western Pony, Fury, woodgrains and the old glossies for its these horses, in my eyes, that make Breyer "Breyer". Every day I find myself looking...err "staring" at my collection of beautiful old Breyers, reminiscing of days gone by.